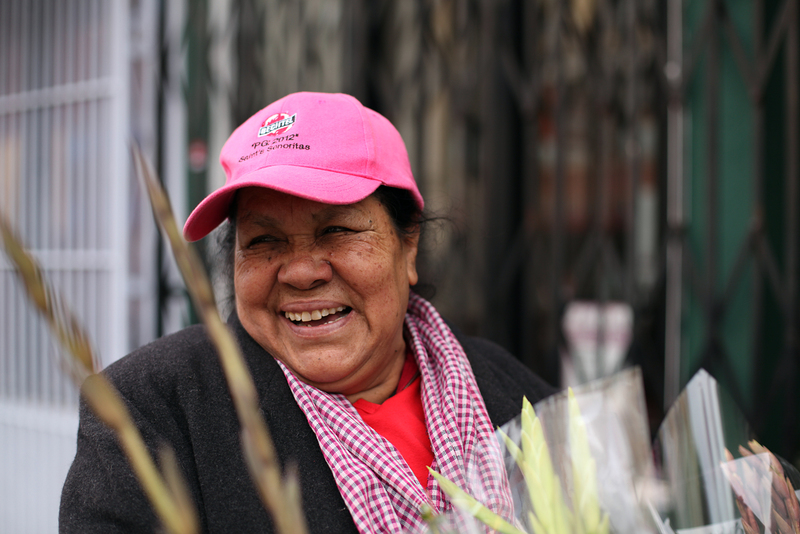 Beloved itinerant Mission florist Maria Saavedra took great care of her clients and neighbors while she was alive. After her death, even those who barely knew her are worrying about her remains’ final destination. Unable to repatriate her to Mexico, the community is organizing to raise funds for a wake and, possibly, a cremation of her body. Absent her smile and cheerfulness for days, Saavedra’s colleagues grew worried earlier this month. On Jan. 9, the florists at Guadalupana — who often supplied her with roses — visited her home at 20th Street and San Carlos. They discovered her dead in her bed, with no signs of foul play. Saavedra, somewhere in her mid-60s, apparently died in her sleep. The news spread by word-of-mouth in the following days, and eventually reached Saavedra’s daughter in Xochimilco, a neighborhood in the south of Mexico City — but no cooperation was offered to claim her body. In the meantime, the San Francisco Medical Examiner’s office proceeded with the autopsy. As of Friday afternoon, the investigation was still ongoing. Nicknamed Mariquita (ladybug), Saavedra was well known among dwellers and businesspeople on Mission Street. Maria orbited between 24th and 16th Streets during the day, frequently stopping to visit friends, drink cafecito with them, and offer whatever advice she could provide. No one seemed to remember her suffering any serious condition or ailment, just as they didn’t know her exact age or immigration status. They do remember her words of encouragement, and her lively personality. “She was always walking with her flowers, greeting us and giving us some of herself, a little vitamin to keep going,” said Micaela Mabor, who used to own a T-shirt printing business on 19th and Mission. Now Mabor has provided Saavedra’s dress for the upcoming wake. Gloria Esteva, a community organizer at Causa Justa, remembers Saavedra going to immigration workshops held at the nonprofit, always bringing a flower for everyone. When it wasn’t flowers, it was bags for the shops, or remedies for arthritis. Lourdes Rodríguez, owner of Lourdes Boutique, remembered the kindness as much as the playfulness of Mariquita. “She used to have younger boyfriends. She told me she had a 24-year-old who ‘warmed her feet,’” Rodríguez said. Her friends and clients in the Mission are now collecting money — dollar by dollar — in a few yellow boxes circulating around the neighborhood. They will hold a memorial service for her on Wednesday, Jan. 23, at Bayview Funeral Home (5187 Third St.) from 5 to 9 p.m.; the intention is to cremate her later, but the circumstances are still to be determined. 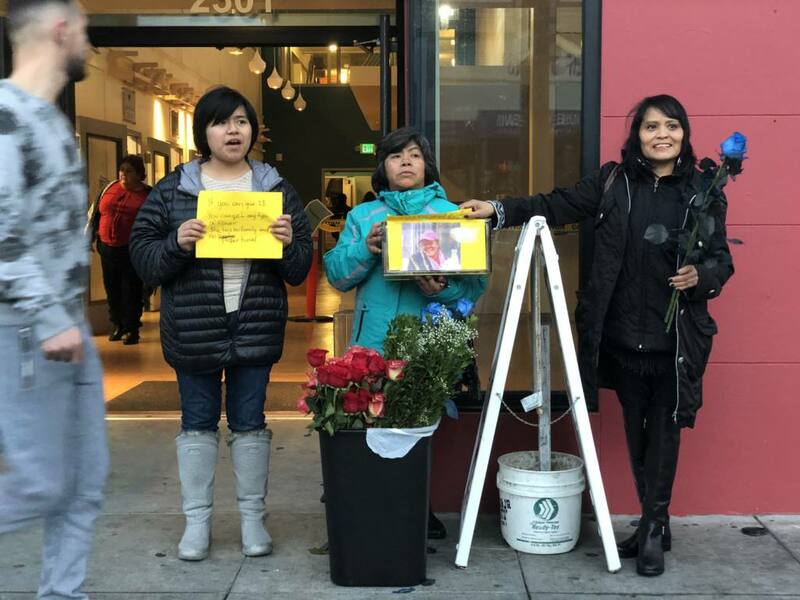 On Thursday afternoon, three former clients were standing outside the Mercadito building on 19th and Mission, soliciting donations to fund the memorial. “I knew very little, outside of her being very positive and full of life,” said one of them, Luz San Pedro, who works a babysitter. Her daughter was helping her distribute roses to the donors. “She was very gentle with us, and very careful with the flowers,” recalled Maria Ayala, a Target cashier also helping that afternoon. “If you think about it, we don’t have anyone here, either. She’s part of the community, so it is fair that we unite for this,” she added. Esteva also lamented the disconnect between Saavedra and her family back at home, as happens to many women who come to the U.S. without their kids. To donate to Saavedra’s funeral and repatriation costs, please contact Gloria Esteva at (415) 377-7294. Donations can also be made at Lourdes Boutique and Ymac Sumac, both at 2301 Mission St.
No offense intended, but the ENTIRE Mission community mourns the passing of this dear lady. Not limited to Latinos. 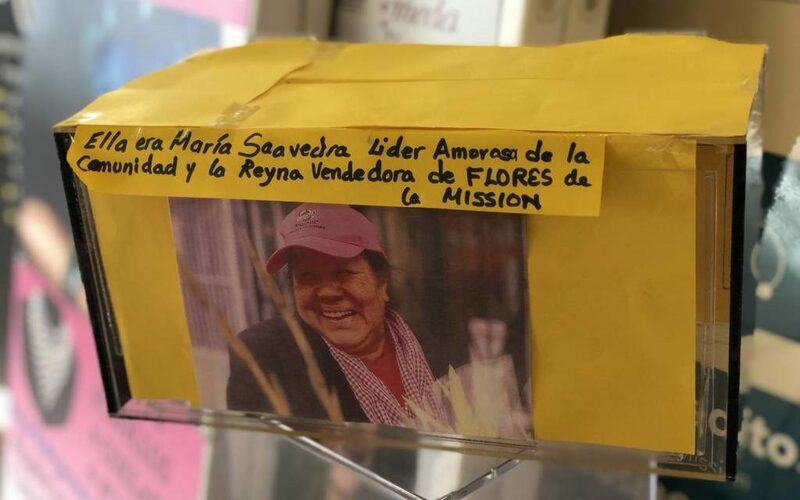 Any Mission old-timer knows her, remembers her, bought flowers from her, and is saddened to see her pass. As a 4th generation Mission resident, it’s hard seeing the old guard pass.